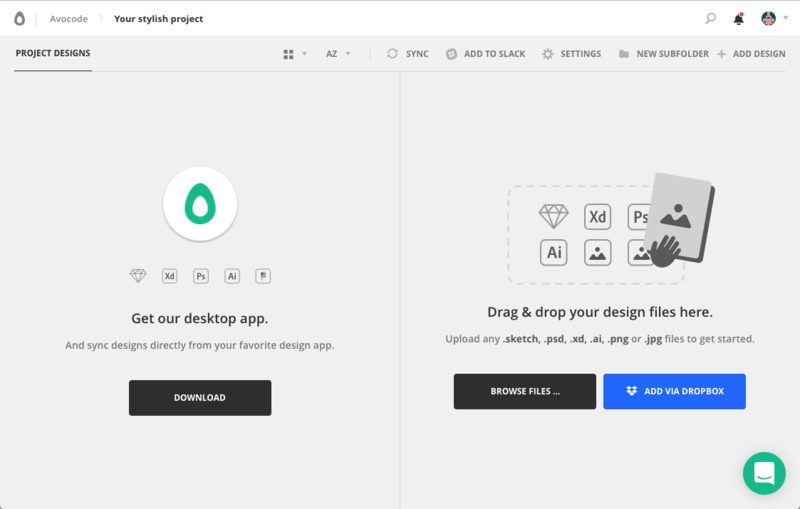 Choose any Sketch, XD, PSD, or AI design file from your Dropbox and import it to Avocode as a new design or sync it as a new design version. NOTE: Make sure you’re logged in in your Dropbox account in the browser. 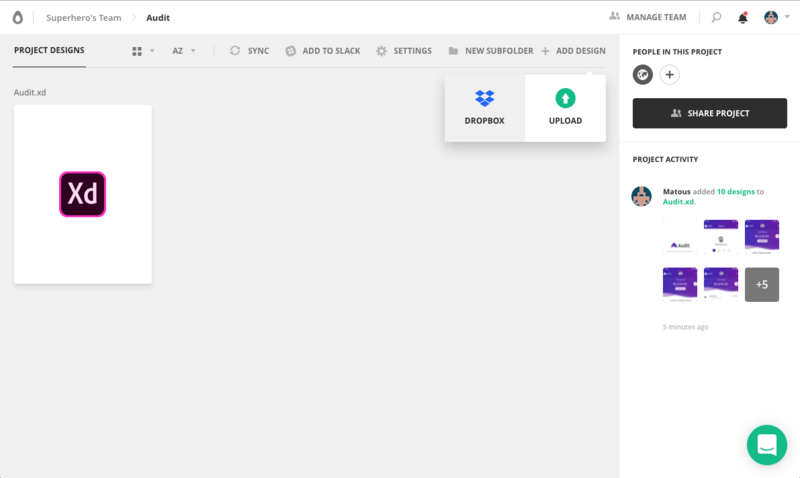 How to import a new design from Dropbox to Avocode? Click on ADD DESIGN (top right corner) and select DROPBOX. When you create a new project, just press the button ADD VIA DROPBOX in the empty state. Your Dropbox file system will show up so you can select the files you want to import. If the design name of the file in Dropbox matches the file in Avocode, you’ll see a window where you can either upload the design as a new version or add it to a different project. 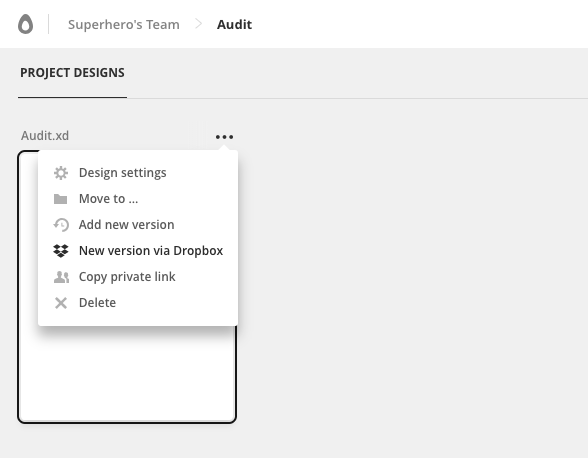 How to import a new design version from Dropbox? 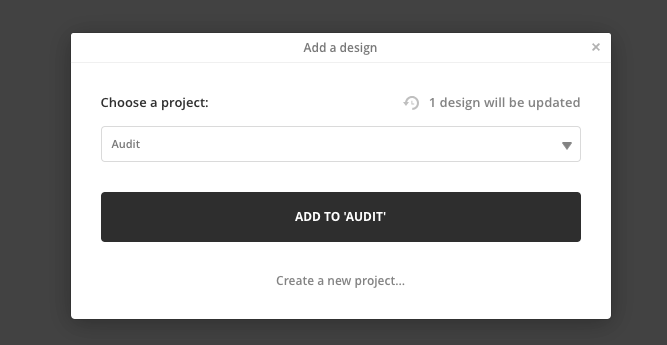 Go to your project and select the whole design file. Click on the context menu and choose New version via Dropbox. 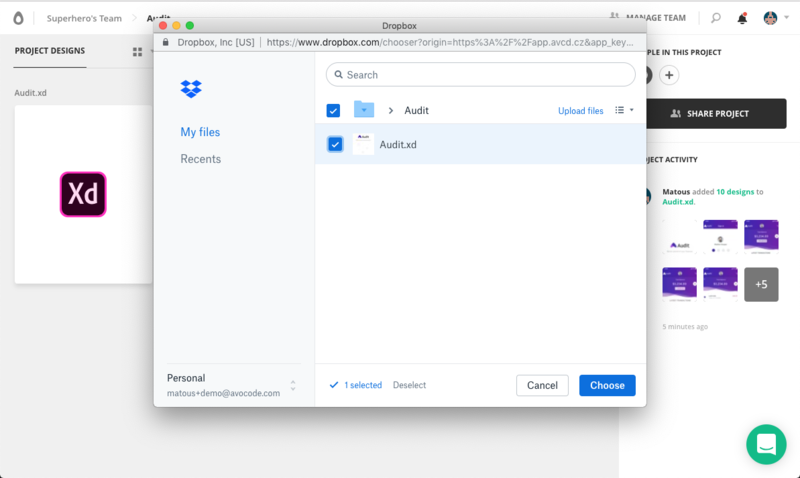 Make sure you can access Dropbox from your browser in order to work with it from Avocode. When you’re using Dropbox on a private/company network, Avocode might have problems connecting to it. If you have problems anyway, please contact us via the in-app chat or at team@avocode.com. Thank you.